Clearly, there is some kind of gravitational force pulling me down to the DC metro area this afternoon – a wet, lazy Saturday when I would otherwise most likely be lying around the house, reading, hanging out with the pets – maybe, if I were feeling particularly motivated, heading over to the gym for a run, but certainly nothing more arduous than that. 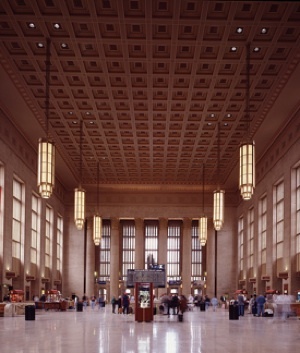 Instead, I am parked at 30th Street Station, loving the Cosi wireless, thinking, once again, about First Descents. The emails came last week, from an FD figure I have yet to meet: “Stepmom.” Come down to DC next weekend, she urged. There’s a fundraiser at my house, a screening of a documentary about the program and a memorial walk in honor of Alan Goldberg, the former FD executive director who passed away last year. Oy! Didn’t I just get back from Denver? Hadn’t I already invited my sister and nephew down for that weekend? What is happening to me?!? Of course, the evening I received Stepmom’s email, I had the good (but also rather unexpected and sudden) fortune of meeting up with Hottie Bucks, fellow Jackson camper and just all-around awesome soul. We spent two hours blabbing over some beer and wine, and, as with everyone with whom I shared Jackson, there was this tremendous sense of connection, of purity of emotion, that just over-took me as soon as HB and I sat down at The Good Dog. It’s an amazing thing, leaving me intoxicated, empowered, each time my own psychic orbit crosses paths with that of another FD’er. So, after a few days of ironing out logistics, it’s off to DC I go, to hang with Huggles, Flippy, B. Rad and Chunks. And Stepmom. And who knows who else. This entry was posted in Life After Cancer and tagged Alan Goldberg, First Descents, Good Dog bar, Hottie Bucks, train travel, Washington DC metro area. Bookmark the permalink.